Filling a glass with water never looked so good. With its elegant lines, stainless steel tank and hot/cold filtered water on demand, the Aquverse 1PH counterop water dispenser is where design meets function for any high-end kitchen. 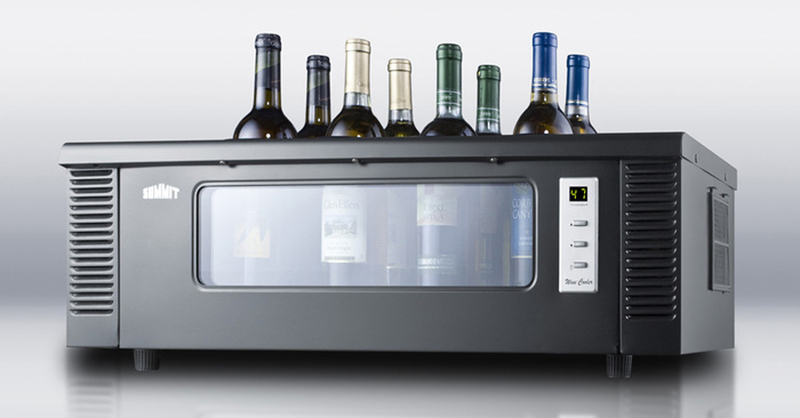 SUMMIT’s sleek, thermoelectric wine chiller stores up to eight of your favorite bottles of wine at a ready-to-serve temperature, making it perfect for your next wine tasting adventure. Add some elegance to the office. The sleek Aquverse® 7PH is designed to keep employees and office guests refreshed in any high-end office setting. See for yourself why the 7PH is springing up in offices all over the country. The stainless steel Aquverse® 5H is a water cooler that demands to be seen. It doesn’t just add a touch of sophistication to any home or office decor, it offers you easy maintenance with smudge-proof panel technology. The perfect bottled water dispenser. Whether you need easy access to hot and cold filtered water for delicious drinks or meals on the go in your home or office, the Aquverse® 3H blends elegance with simple function in any kitchen setting. Welcome to The Cooler Store, the internet’s #1 resource for sophisticated buyers to find high-end cooling appliances at the lowest prices available. We continually seek out the highest quality home and office appliances with the sleekest, most contemporary designs so you can find them all in one online location. And, because we partner with each brand to buy our appliances in large volumes, we can pass the cost-savings on to you. If you are a value-minded individual with sophisticated taste, it’s time to take advantage of what the The Cooler Store has to offer.